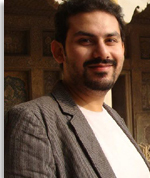 Mr. Faiz Younas graduated from GC University Lahore in 2006 with distinction and joined the Institute of Applied Psychology in 2009 as Lecturer. His research interests include gender and sexuality, social psychology, political psychology, feminism, intersectional politics and cultural anthropology. So far he has supervised almost 41 research theses of BS and M.Sc students.